In every contract of affreightment there is an implied obligation to provide a seaworthy ship to meet and undergo the perils of the sea and other incidental risks to which of necessity she must be exposed in the course of a voyage. The implied undertaking is reinforced by an express term to the same effect that the ship has to be 'tight, staunch, strong and in every way fitted for the intended service'. The obligation covers not only the physical state of the ship but also the competence and adequacy of the crew, implementation of classification rules and statutory requirements. The Inter-governmental Maritime Consultative Organization (IMCO) came into operation in 1958, with responsibility for adopting legislation on matters relating to maritime safety and pollution prevention on a world-wide basis and acting as the custodian of a number of related international conventions. Subsequently, in 1982, IMCO changed its name to the International Maritime Organization (IMO). It has been responsible for developing a large number of conventions, ranging from the Convention for the Safety of Life at Sea (SOLAS) to conventions on tonnage measurement and oil pollution. IMO has 155 member states and two associate members. Its main objective, particularly in the early years, was to develop a comprehensive body of conventions, codes and recommendations which could be implemented by member governments. The most important conventions are now accepted by countries whose combined merchant fleets represent 98 percent of the world total. 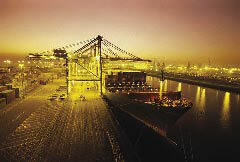 The Maritime Safety Committee (MSC) deals with a whole range of issues concerning safety at sea. 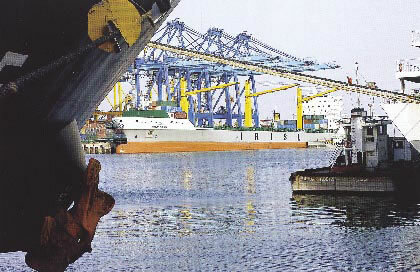 Sub-committees deal with a wide range of issues which cover safety of navigation; radio communications and life-saving; search and rescue; standards of training and watch-keeping, ship design and equipment; life-saving appliances; fire protection; stability and load lines; fishing vessel safety; carriage of dangerous goods, solid cargoes and containers; carriage of bulk liquids and gases; and flag state implementation. SOLAS was updated in 1974 and now incorporates an amendment procedure whereby convention can be updated to take account of changes in the shipping environment without the major procedure of calling a conference. The 1974 SOLAS Convention entered into force on 25th May 1980 and by 31st of December 1996 had been ratified by 132 states. A protocol relating to the Convention in 1978 entered into force on 1st of May 1981. With the development of bulk shipping and the carriage of very large quantities of toxic materials by sea, marine pollution has increasingly become the subject of international regulations. The process of developing legislation started with a conference held in London in 1952, and this led to the 1954 Convention for the Prevention of Pollution of the sea by Oil (OILPOL). The problem addressed by the convention was that, when oil tankers carry ballast water in their cargo tanks that they then discharge to sea to reload with cargo, it inevitably contains a certain amount of crude oil, which pollutes the sea. The convention established 'prohibited zones' extending at least 50 miles from the nearest land. These regulations were progressively updated during the next 20 years. As the pressure on the marine environment increased during the 1960s, the need was seen for a more broadly based convention on marine pollution, and in 1973 the International Convention for the Prevention of Pollution from Ships (MARPOL) was adopted. This convention deals with all forms of marine pollution except the disposal of land-generated waste. It covers such matters as: the definition of violation; certificates and special rules on the inspection of ships; enforcement; and reports on incidents involving harmful substances. For example, tankers must be fitted with oil discharge and monitoring equipment, and they must have slop tanks. New oil tankers of over 70,000dwt must be provided with segregated ballast tanks of sufficient capacity to enable them to operate on ballast voyages without using oil tanks for water ballast except in very severe weather conditions. At the next international conference on tanker safety and pollution prevention in 1978 additional measures were added in the form of a protocol to the 1973 convention. The lower limit for tankers to be fitted with segregated ballast tanks was reduced from 70,000dwt to 20,000dwt and existing tankers were required to fit crude oil washing equipment. In the early 1990s attention turned to measures to reduce the spillage of oil in the event of a tanker collision or grounding. Annex I to MARPOL (73/78) included two regulations, adopted on 1st of July 1992, concerning the construction standards for new tankers (Regulation 13F) and upgrading the safety standards of existing tankers (Regulation 13G). Regulation 13F deals with the design of new ships. Tankers ordered after 6th July 1993, are required to have double hulls, particularly the requirement that vessels over 30,000dwt must have a two meter space between the cargo tanks and the hull. Regulation 13G was even more controversial because it deals with existing ships. As adopted, Regulation 13G creates two age 'hurdles' for tankers. 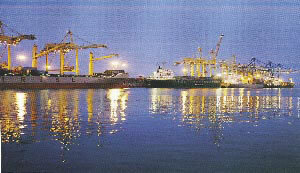 At 25 years of age, tankers must allocate 30 per cent of the side or the bottom area of the vessel to cargo-free tanks. This is a defensive measure against oil spills. At 30 years of age all tankers must comply with Regulation 13F and fit a double hull. The international convention for the prevention of pollution from ships as modified by the Protocol of 1978 has been ratified by majority of states. A company safety and environmental protection policy. Written procedures to ensure safe operation of ships and protection of the environment. Defined levels of authority and lines of communication between, and among, shore and shipboard personnel. Procedures for reporting accidents and non- conformities (i.e. errors which occur). The ISM Code became mandatory for passenger ships and cargo ships over 500 gross tons on 1st July 1998, by which time 30,000 ships and 7,000 shipping companies were required to comply. In the past safety regulations have tended to focus on the physical rather than the managerial aspects of the shipping business, so the ISM Code represents a new direction in maritime regulation. Inevitably it raises many new problems over implementation and policing of such a complex system. To fit Automatic Information System (AIS) on ships not later than first Safety Equipment Survey after 1st of July 2004 or by December 2004 whichever is earlier. To be permanently marked in a visible place on the ship's hull or superstructure externally and internally. 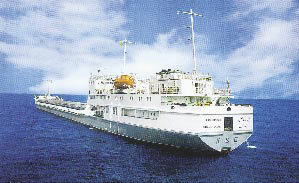 All ships to be issued a Continuous Synopsis Record (CSR) to provide an on-board record of the ship's history. In essence, the code takes the approach that, ensuring the security of ships and port facilities, is basically a risk management activity and that to determine what security measures are appropriate, an assessment of the risks must be made in each particular case. 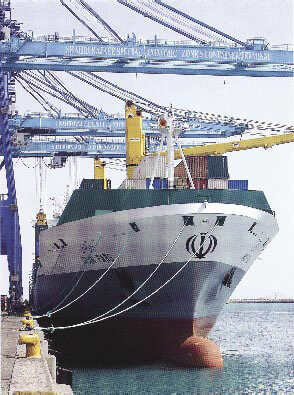 Following a risk analysis results which revealed that risk aboard passenger vessels rises dramatically with the installation of a helicopter landing facility, an event unique in the history of the International Maritime Organization occurred at the 71st session of the Marine Safety Committee in May 1999. At that meeting, the IMO reversed its position on a new regulation, which would have required helicopter landing facilities on all new passenger vessels, before that regulation had even come into effect. To the maritime community, the set back by the MSC in May 1999, was a stunning introduction to the analytical technique known as a formal safety assessment of ships which is a proactive risk-based approach in a safety-first culture. In my opinion the traditional approach by governments, flag states and classification societies has been prescriptive and that has meant rules and regulations have relied on past empirical experience and good engineering practice to provide necessary safeguards. In the past, the amount of regulation under which this industry has labored has been driven by a combination of what has been perceived by the industry as affordable, and on what has been considered by governments as socially and politically acceptable measures at the time. This has been the case for both classification rules and for statutory requirements, which are often monitored by class acting on behalf of the flag state. However despite some occasional failings some may strongly argue that this approach has been successful. Equally I would argue that such an approach, although adequate, has been shown to be increasingly insufficient for addressing safety standards in the future when the public demands placed upon the industry by technical developments, will only escalate. Once again I would emphasize that the existing approach is entirely prescriptive in nature. Inspections are based on calendar intervals, determined from practical experience. The existing compliance culture, based on prescriptive requirements allows the owner to be reactive to safety requirements. It is a case of reading the regulations and providing the requisite number of fire extinguishers etc. Risk is composed of two elements, frequency and consequence. Risk is commonly defined as the product of the frequency with which an unwanted event is anticipated to occur and the consequence of the event's outcome. To put more formal terms to the process this can be referred to as Hazard Identification, Accident Scenario Postulation, Frequency Assessment and Consequence Assessment resulting in Risk Evaluation. When these are applied to the development of Risk Based Inspection programs, determination of the frequency is a key component. It is to be noted that while a common approach is to assign a frequency to an event based on researching industry databases to determine the historical frequency of failure, experience tells us that frequency can vary widely depending on such factors as maintenance management, operating histories, crew competency, and company culture. And very strong economic incentives to build and maintain reliable and serviceable structures, machinery and systems. In a risk-based approach, regulators and classification societies will provide the framework and the methodology while ship operators will apply them to specific operating scenarios. Not unlike the existing practice, classification societies will work with the operator and provide necessary oversight. And of course class, in cooperation with regulators, will adapt the same framework and methodologies to the transformation of rules and regulations, and the establishment of rational criteria to assess the hull structures, machinery and systems and to adopt ergonomically sound design and installations. The use of risk based concepts may be new to the marine industry but they are not new in themselves. In many shore-based industries they are now considered standard practice. Experience has shown that this approach has produced the added benefit of reducing total costs, by making facilities more efficient and by significantly reducing costs associated with injuries, accidents and downtime. Needless to emphasize that it is simply not possible to shift the entire shipping industry from one method of establishing safety standards to another overnight. It will be a gradual evolution in which new technology, new methods and greater understanding of risk concepts, coupled with experience and knowledge, will be used to refine and improve future standards. A consistent regulatory regime which addresses all aspects of safety in an integrated way. Cost effectiveness, whereby safety investment is targeted where it will achieve the greatest benefit. A pro-active approach, enabling hazards that have not yet given rise to accidents to be properly considered. Confidence that regulatory requirements are in proportion to the severity of the risks. A rational basis for addressing new risks posed by ever changing marine technology.